Memory loss is a state that begins to affect the brain 30 - 40 years before symptoms begin to occur, because of that, it is important that we begin a program for the prevention of cognitive decline early in life. Benefits of beginning a program include improvements in memory, concentration, learning ability, reduced risk of dementia, and an increase in personal awareness that, in turn lead to feelings of being a part of something larger than oneself. Cognitive Enhancement is known as a multi-systemic approach in prevention and treatment of cognitive decline that is normally associated with aging and degenerative diseases related to aging. As with many degenerative diseases of the mind, memory loss may appear as a spectrum of symptoms, etiologies, and prognosis. Over 55 disease states, many non-progressive can be attributed to memory loss. Dementia symptoms manifests in a variety of forms including vascular disorders, Parkinson's disease, infections including HIV, depression, hypothyroidism, vitamin B12 deficiency, malnutrition, and substance abuse. Risk factors are many, and they interact with other biological processes in causing cognitive decline. Increased age, family history, genetic factors, head injury, educational level, cardiovascular disease, and chronic stress are only some of the reasons that one may see increased cognitive decline. The pathology of cognitive decline is variable, but what is clear is that the common denominator is the death of the brain cell. Treatment programs are multidimensional in their approach and seek to improve memory and brain function while utilizing integrated therapies. Programs include nutrition enhancement through dietary modification and nutritional supplementation with elements such as anti-oxidants, Phosphatidyl-serine, CoQ10, and Ginkgo Biloba. Optimal levels of hormones, such as, melatonin, estrogen, progesterone, testosterone, DHEA, and human growth hormone may help to improve memory function. With the advent of a new series of drugs known as "smart drugs", they too are integrated into our treatment program. Drugs that mimic neuro-growth factors and may stimulate development of new synapses are in full use now. It helps in the promotion of inter-hemispheric communication. The uses of pharmaceutical compounds that help remove intracellular debris, increasing oxygenation of the brain, and balancing the neurotransmitters are a vital part of the treatment. The human brain is like any muscle in the body. With most muscles, it is either one uses it or it begins its slow decline. The most important factor in cognitive enhancement therapy is the increased sense of being in control of your mental capacity and self-knowledge. This really solidifies why one should seek out treatment for cognitive dysfunction before one is forced to. 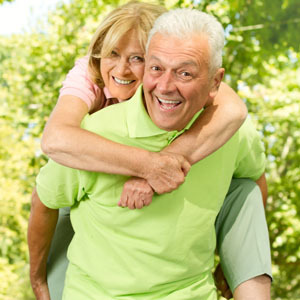 At Holistic Harmony, we test neurotransmitter function and genetic testing to assist our patients in maintaining or improving cognitive function during the aging process and journey of life. 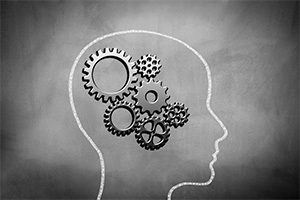 Please call us today for a complimentary 15 minute consult to see if our cognitive enhancement program is right for you! The neurons, or nerve cells, send electrical impulses through the brain over a tree-like network of branches. Like most cells in the body, neurons slowly deteriorate over time. This was generally accepted as a natural and unpreventable phenomena, but research has shown that one of the largest culprits to this decay has been free radicals. No cell, especially brain cells, can properly function without a fresh supply of oxygen and nutrients, and those supplies reach their destination via capillaries. Most people accept that a balanced exercise routine improves blood flow throughout the body, but it's been proven that this improved flow occurs in the brain as well. This can often be easier said than done, but it's an essential part of having a healthy brain. That's because the portion of the brain where memories are formed, the hippocampus, can be adversely affected by negative stress. The simplest way to eliminate stress can be a healthy dose of sleep. Scientists have even found that a good night's sleep can improve a person's ability to solve complex problems.